We have received your retrofit report. You should receive a receipt via email shortly identifying the serial number of the bike you retrofitted and the retrofits that were completed. Please keep that for your records. If you have an account with us, you will receive a credit towards your account within the next 10 business days. If you do not have an account with us, we will abide by the compensation arrangements agreed to previously. Also, it is important that you RETAIN ALL REPLACED CRANK AXLES so that you can submit proof of replacement in the form of a digital photograph taken at the END OF THE RECALL. This is a requirement of the Consumer Product Safety Commission. 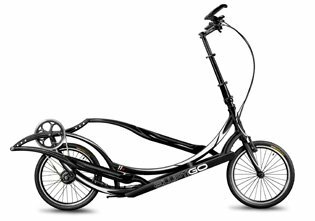 If you will be unable to provide a digital photograph of the replaced crank axles at the end of the recall, or if you have any other questions, please contact Beth Visscher at beth@elliptigo.com or (858) 876-8207 so alternate arrangements can be made. Thank you again for your assistance with this process, we very much appreciate it.